Exciting women’s sneaker made of soft hand finished nubuck. The soft nubuck with snake cuttings and the smooth lightweight white sole with real leather natural leather welt give this shoe a special look and feel. Exciting women’s sneaker made of soft hand finished nubuck. 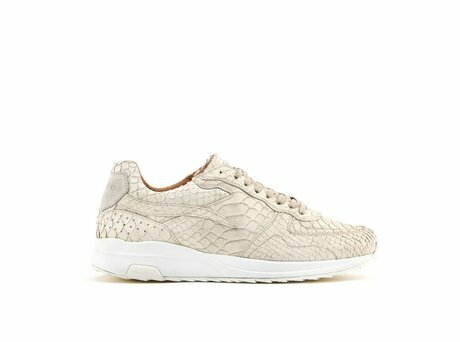 The soft nubuck with snake cuttings and the smooth lightweight white sole with real leather natural leather welt give this shoe a special look and feel. On the tongue we placed a cool badge with the REHAB logo. The trademark REHAB ‘snake’ on the side of the shoe gives this sneaker even more identity. Try them on once and never take 'm off!